Young hero Nikhil Siddharth and Malayalam beauty Nivetha Thomas are pairing for the first time for a romantic entertainer titled ‘Swaasa.’ This film is formally launched on Friday in the presence of prominent personalities from the film industry. 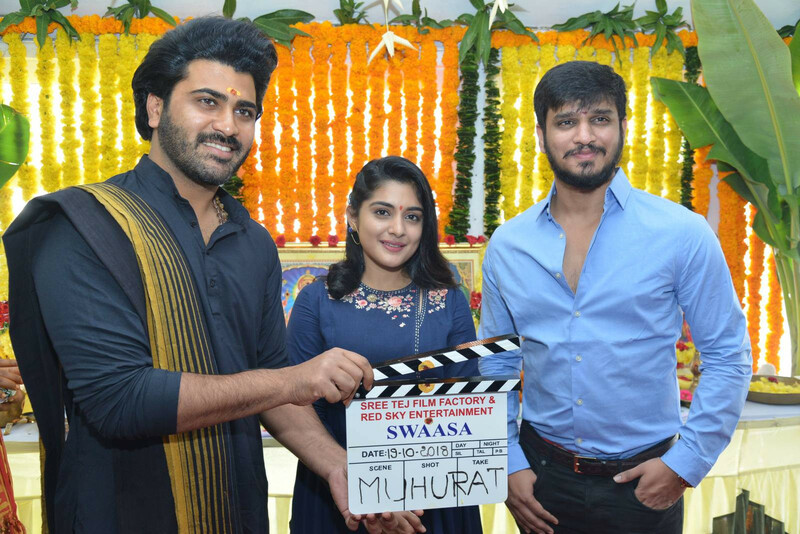 Hero Sharwanand clapped the board for the first scene shot on the lead pair while ‘Gemini’ Kiran and actor Naresh switched on the camera. Director Krish Jagarlamudi did the honours of directing the first scene. ‘Swaasa’ is a pure love story and will be directed by newcomer, Kishen Katta. Cinematography is being taken care by Istvan Lettang. With this film Tej Uppalapati and Harinikesh Reddy are debuting as producers to the Tollywood and will be bankrolling ‘Swaasa’ under Tej Film Factory and Red Sky Entertainment banners. The regular shooting would commence soon.